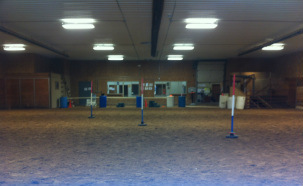 Our Facility - Exceptional Equestrians of the Missouri Valley, Inc. 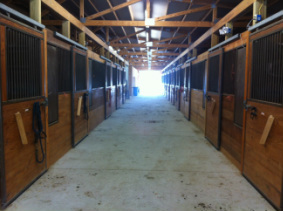 Exceptional Equestrians was excited to move into a new facility in July of 2009. In 2012, thanks to donations through the state of Missouri's Neighborhood Assistance Program, the Washington Rotary Club and support from Developmental Services of Franklin County we were able to renovate the facility to make it ideal for our special needs clients. Exceptional Equestrians has 2 indoor riding arenas. Both have dust-free footing to prevent any respiratory issues for our clients. 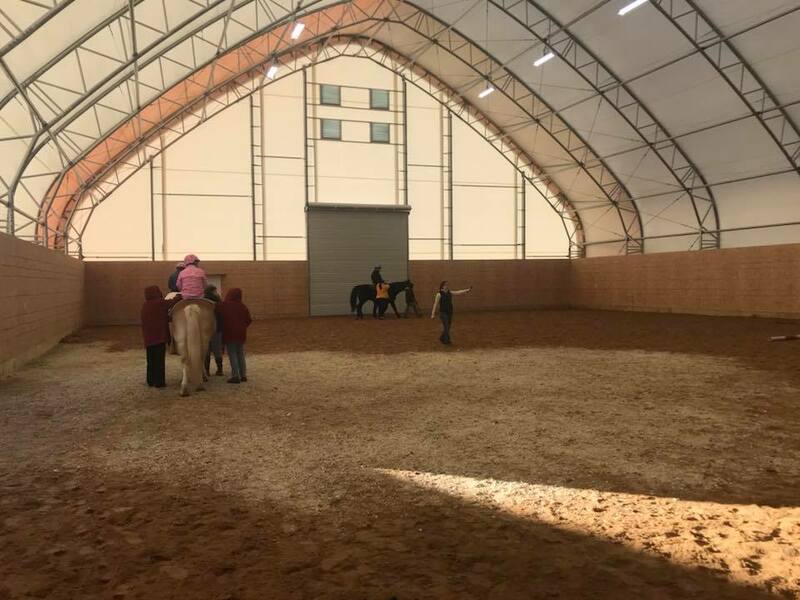 Our small arena is fully heated and our new, large arena can accomondate as many at 10 horses. The barn offers stalls for 15 horses, a tack room, feed room and wash bay. The lounge is the perfect place for families to watch sessions. It is heated and air conditioned and features a beautiful fireplace for chilly, winter days. With more than 30 acres of pasture, there's plenty of space for trail rides! Our mile-long sensory trail features one-of-a-kind, custom-made activity stations designed to improve targeted goals for all program participants.